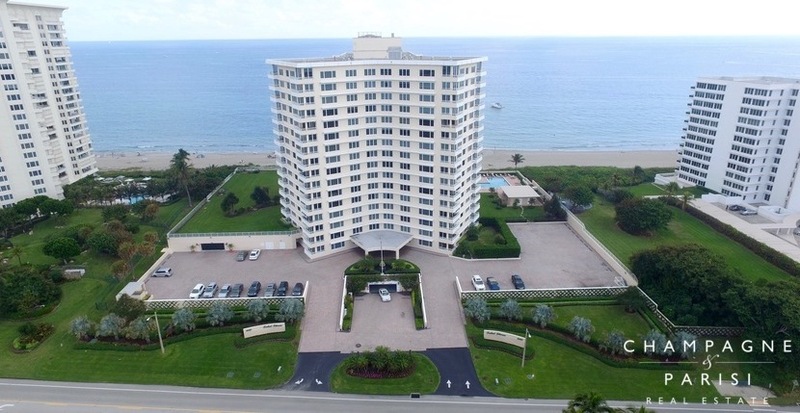 Sabal Shores is a direct oceanfront condo building that recently underwent major renovations. This 17 story building is home to 125 units. Residences have one to three bedrooms and range from about 1,070 square feet to 2,250 square feet of living space. Many units have been completed updated and include appointments such as foyer entry, high impact glass, balconies with ocean, intracoastal and city views as well as water views from nearly every room, saturnia marble flooring, 10’ ceilings, custom built-in closets, jacuzzi tub and showers, wet bars and washers and dryers within the condos. Sabal Shores was built in 1970 but recently finished complete renovations that include concrete restoration to the entire building, hurricane impact glass installed throughout and new roof, oceanside pool and deck, fitness center, marble lobby, party room with new kitchen as well as hallways. Other amenities include 24 hour security with manned gate, private guard and doorman. Also there is an onsite manager, game room, community laundry rooms, library, sauna and an indoor putting green. Sabal Shores is located on A1A south of Palmetto Park Road and north of Camino Real. Step onto the beach or walk to nearby Boca Beach Club. Sabal Shores is surrounded by similar luxury condominium buildings such as Sabal Point, Sabal Ridge and Chalfonte. Included below are condos for sale in Sabal Shores, a development in Boca Raton, FL. These real estate listings are updated daily from the MLS with large photos, maps, local school info and detailed property info. Also, please consider registering for a free account which will enable you to receive automatic email notifications when new condos in Sabal Shores come on the market in Boca Raton, FL.